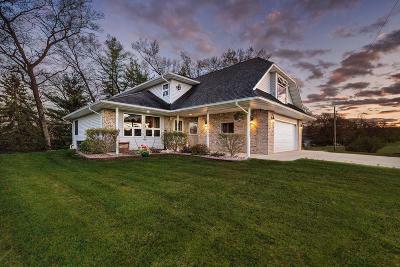 Beautiful River Front Home built in 2003 on over 2 acres!The views from this home will make you want to stay forever! 4 Bedrooms plus an office, 2.5 bath, 1st floor laundry, gas fireplace, open concept living space, rec room in lower level, walk out basement! A deck looking over the river and a patio! This home has it all!